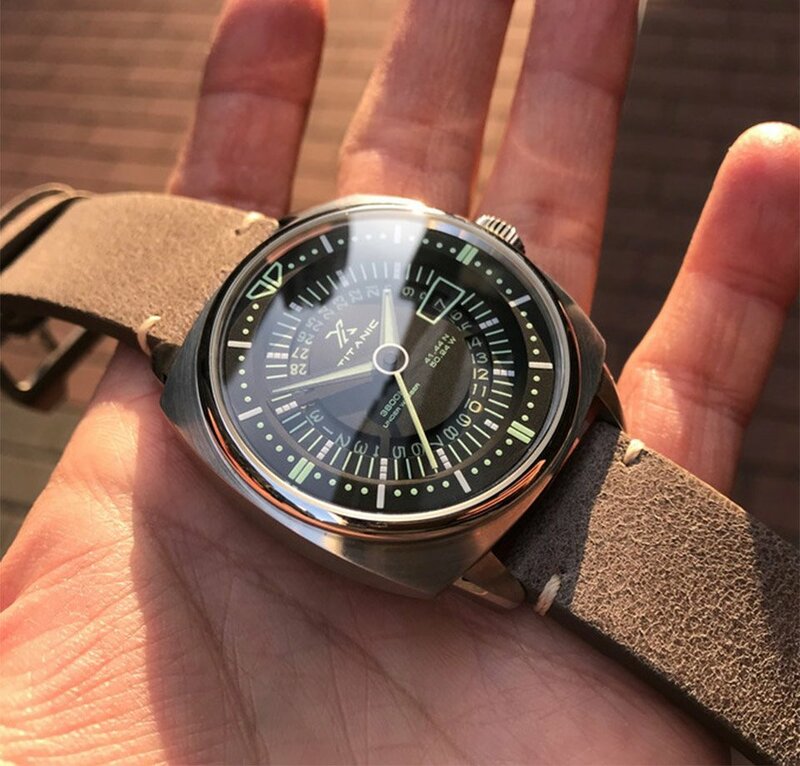 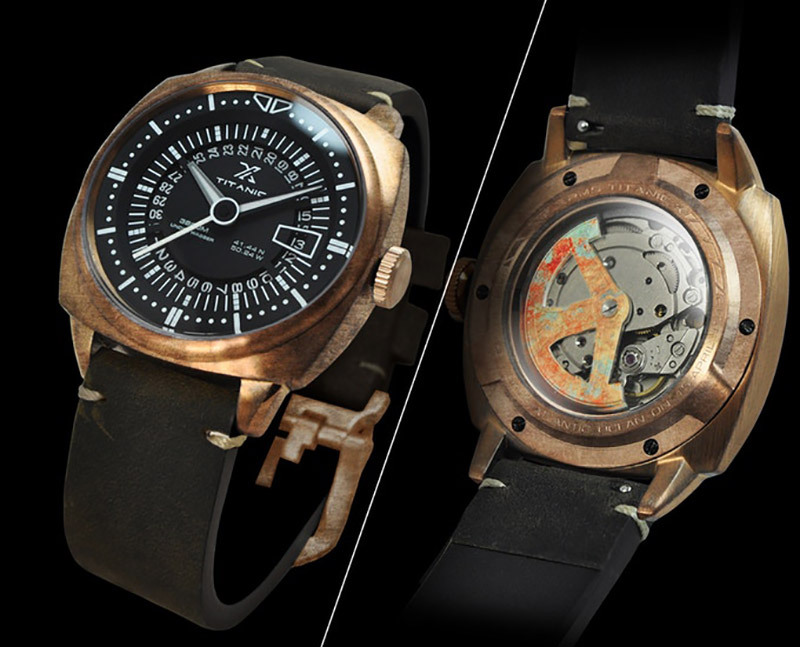 This diver’s watch pays tribute to the RMS Titanic, noting its final coordinates and depth on its face. 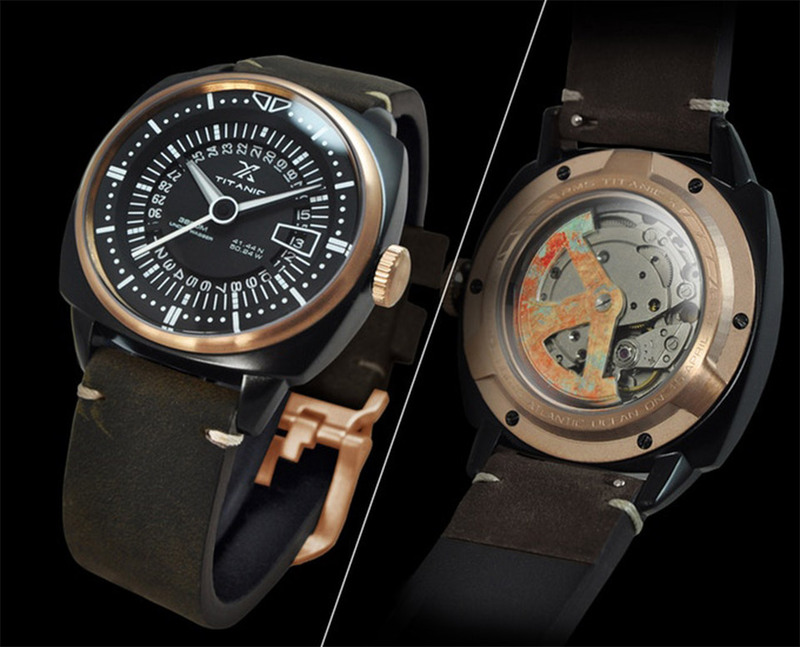 While it wouldn’t have survived the Titanic’s fate, the watch handles depths of 200m. 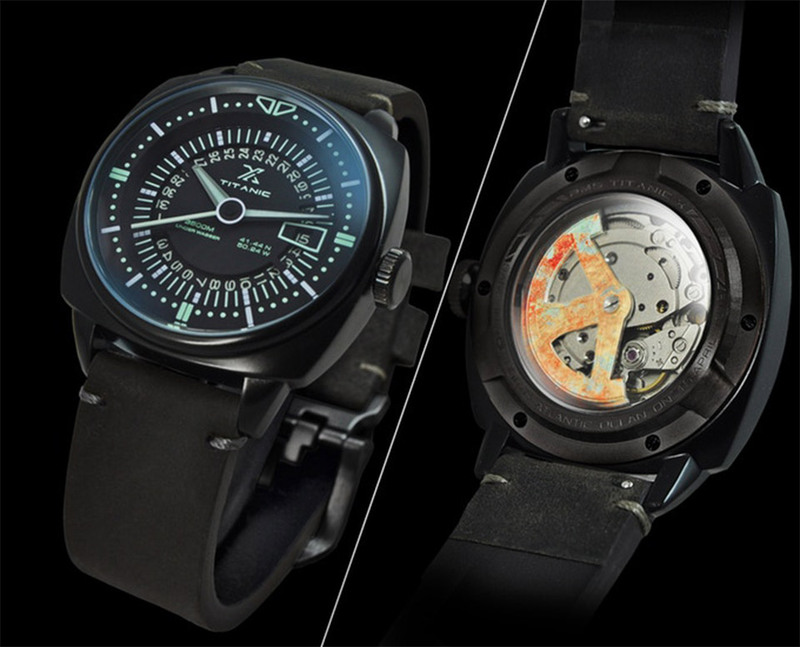 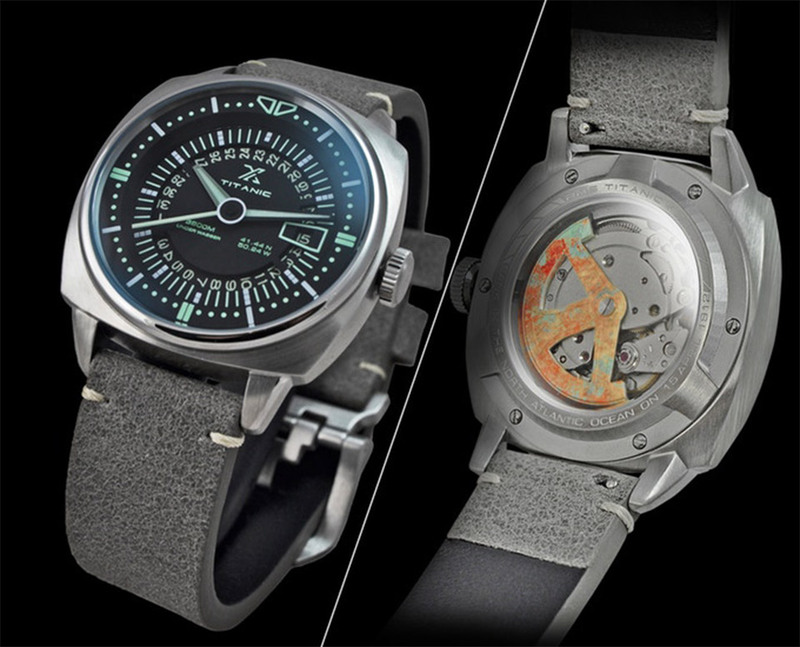 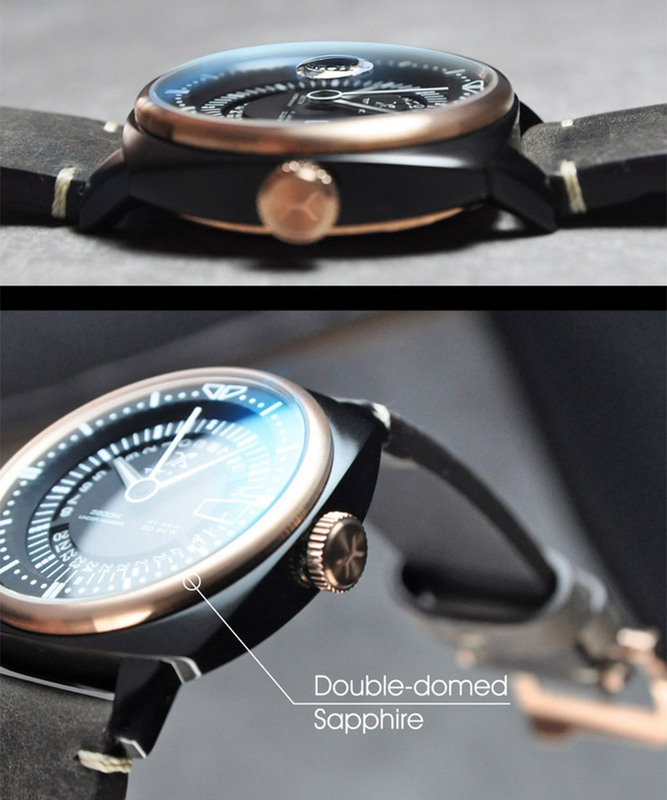 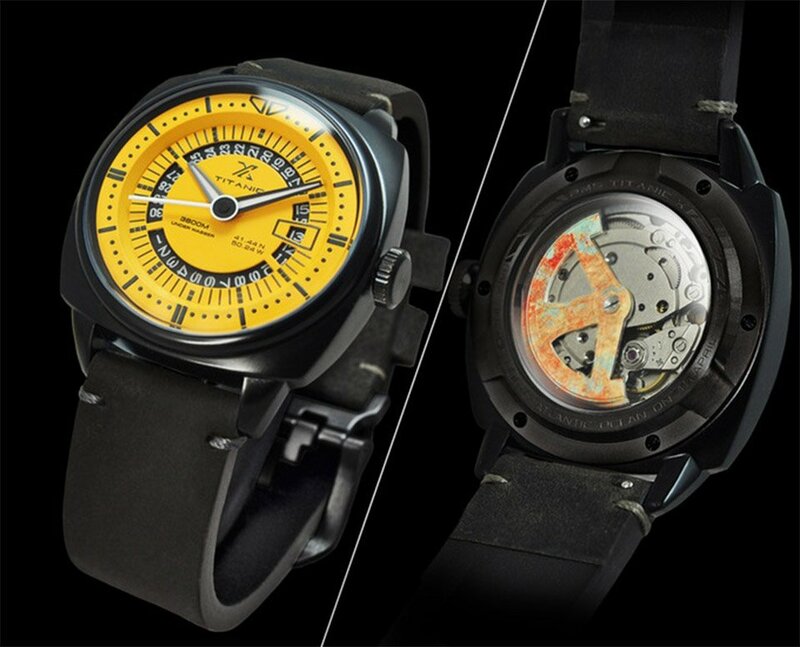 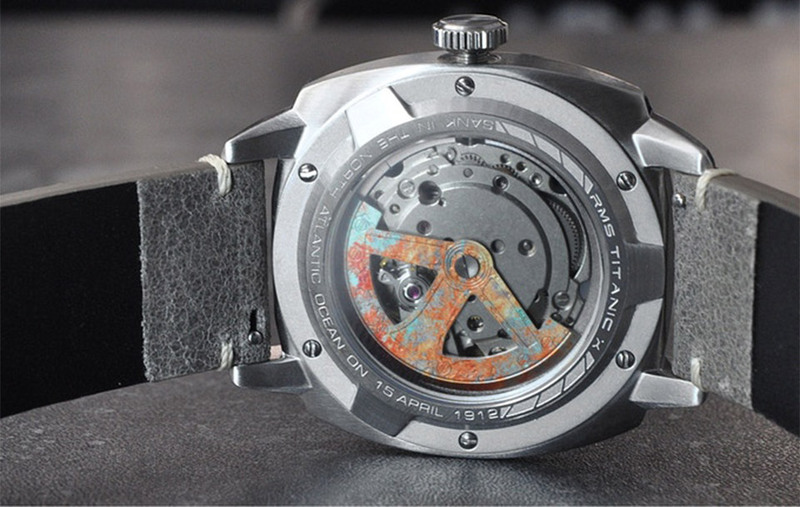 Features a luminous dial, a sapphire crystal, and a ship’s anchor rotor on back.